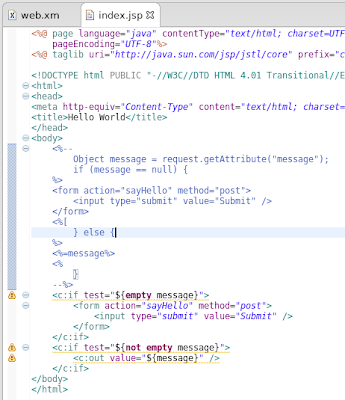 JSTL is a good to enable tag library while developing Java Server Pages. It speeds up the development and lets you write logical blocks in fewer lines. The JSTL library to be included to your web application depends on the version of Servlet you are using. The steps mentioned here lets you choose the right JSTL library version and include it to your web application. We continue from the previous post where we built the web application. 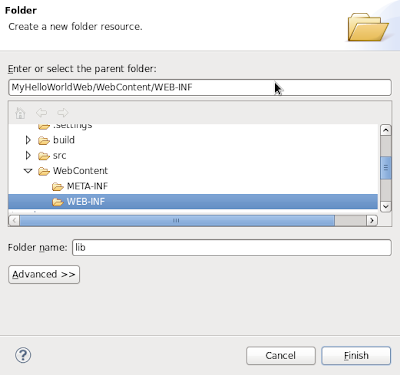 Open web.xml file located in WEB-INF folder. Check the version attribute of web-app tag. Here, the version is 2.5. Refer this link to know which version you would need to download depending upon your Servlet version. You will find the download link for each version. 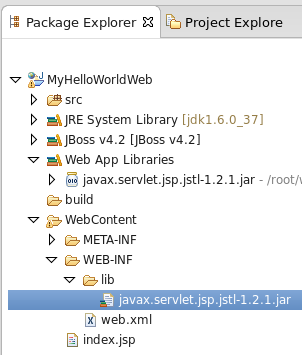 I downloaded javax.servlet.jsp.jstl-1.2.1.jar as I have 2.5 version. 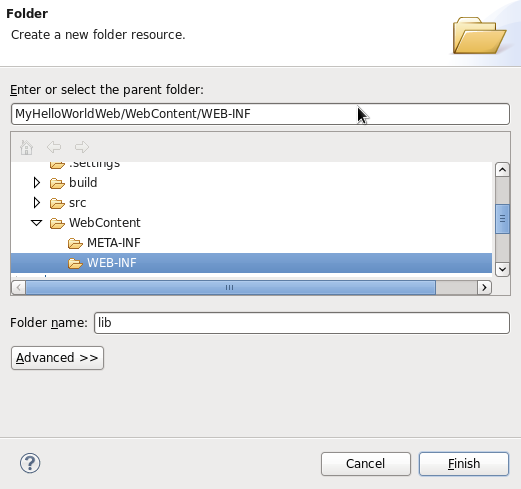 Create a lib folder under WEB-INF. Copy the downloaded jar file into the lib folder. Include library to your JSPs and start using it. 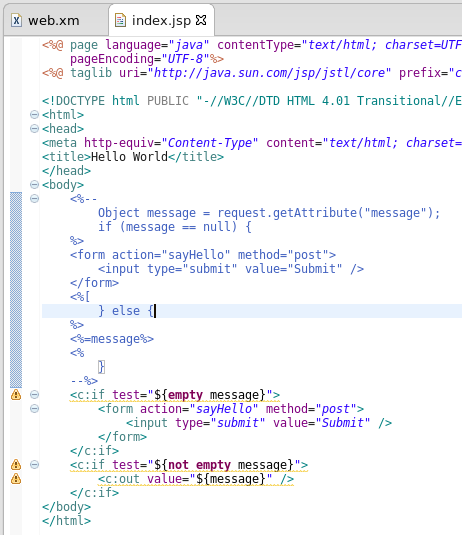 Here I have modified the existing function to use JSTL tag.